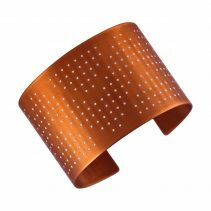 A narrower width version of my popular Facet Cuff. 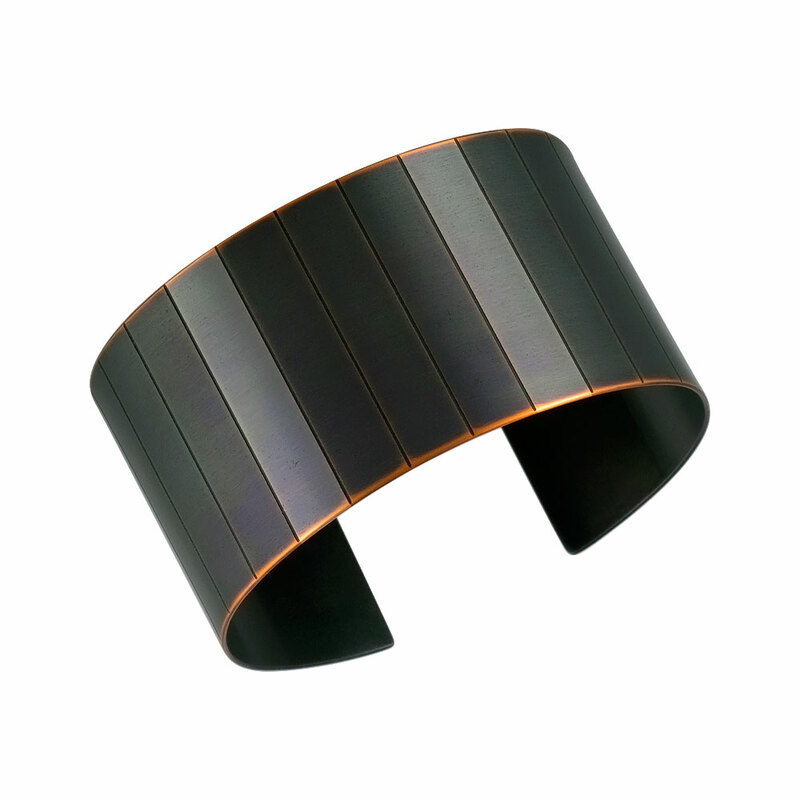 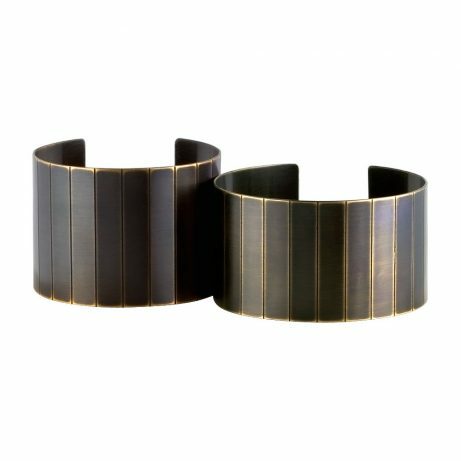 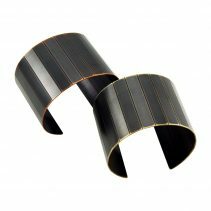 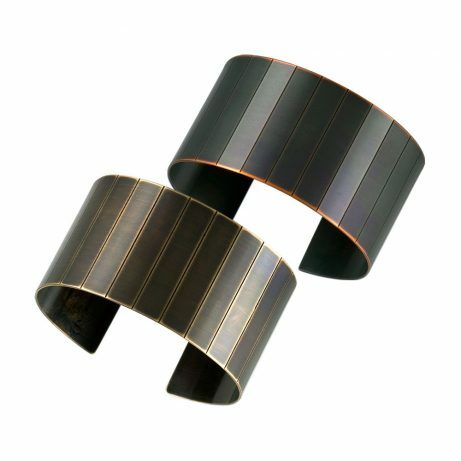 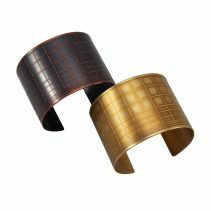 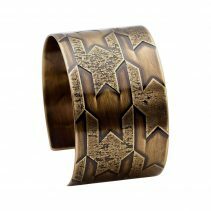 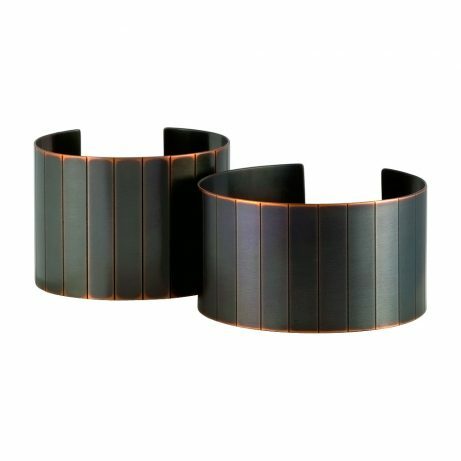 Etched vertical lines give this cuff a subtle faceted appearance. Modern yet simple. 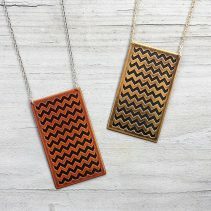 Available in Blackened Brass (left) or Blackened Copper (right). 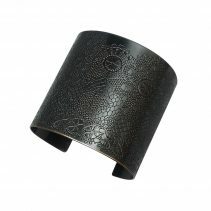 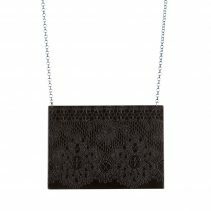 Medium = Women’s medium/ Men’s small, measures approximately 7 – 7 ½″ in circumference (fits 6 – 6 ½″ wrists).